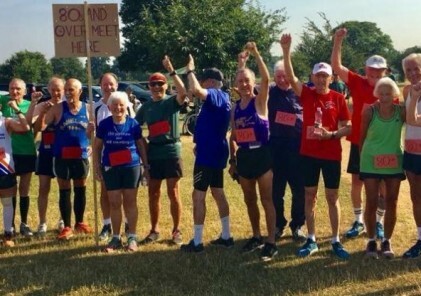 There are just 2 weeks until the 2018 Commonwealth Games start on the Gold Coast, however some special parkrunners haven’t been waiting to get involved as they’ve been nominated to take part in the Queen’s Baton Relay. Read on to learn more about them and the stories behind their nominations as we follow the baton around Australia. In the lead up to each Commonwealth Games, the Queen writes a message calling upon the Commonwealth’s athletes to come together in peaceful and friendly competition. Despite technology advances, she won’t use Skype for delivery this message during the Opening Ceremony. Instead, tradition prevails, and this message is being carefully transported 230,000 kilometres through every Commonwealth country on earth (all 70 of them!) via the Queen’s Baton Relay (QBR). The QBR symbolically joins people across the globe and is an opportunity to recognise individuals as Baton Bearers who have achieved something extraordinary or inspired others, made a significant contribution to sport, education, the arts, culture, charity or within their community, contributed to a fun, friendly, vibrant and inclusive community or have excelled, or aspire to excel athletically or personally. Multiple parkrunners across Australia have met these criteria and are being honoured with nominations for the QBR. Let the relay begin! At the end of the Kings Avenue Bridge, Kathy handed the Baton on to basketball legend Cal Brunton. Just 39 minutes and six Baton Bearers later, a special parkrun duo, brothers Talon and Shea Cass-Dunbar from Gungahlin parkrun, took over responsibility for the baton. Talon was up first, receiving the baton from sports star Michelle Payne in a very memorable moment. According to Talon, “the highlight of the day would have to have been getting the baton from Michelle Payne and missing our high five 3 times!”. Talon had been nominated because of his positive attitude of never giving up, and because of the more than $110,000 he and his family had raised for charities including Ronald McDonald House and the Cerebral Palsy Alliance. Shea had been nominated for the QBR by his parents to honour his personal achievements including goals like climbing the Statue of Liberty and Mt Kosciusko even though he has Cerebral Palsy and other disabilities. Brooke has achieved a lot so far with running and loves the challenge it brings. Recent achievements have included coming first female in the Camden Haven Princess of the Mountain event and first female at the Forster Running Festival. Brooke’s other great passion is to volunteer and she has volunteered as the scanner, marshal and helped run direct at Taree parkrun since her first parkrun way back in June 2015. For Brooke, parkrun is somewhere to go and enjoy healthy fun with a mix of people and dogs in a safe and encouraging environment. 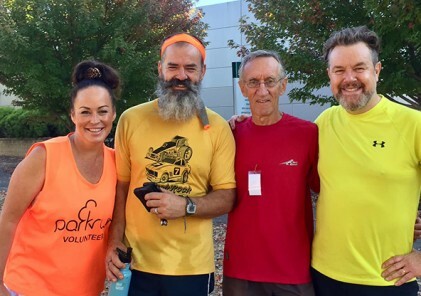 On the other side of the Murray River, Bernie Larsen – Sale parkrun’s co-Event Director – helped keep the Baton on track through the town of Morwell. Originally completing her first parkrun in England, Bernie helped get the Sale parkrun going in April 2015 as well as helping establish the Sale and Districts Runners – a local running group that now has a phenomenal 350 members! It is her contribution to help running in the community that led to her nomination for the QBR. Renmark parkrun founding ED, Annette Aston, like several others in the QBR before her, had been nominated for bringing parkrun to her local community. Renmark parkrun opened in July 2016 and more than 4,500 individual parkruns have been completed there since then. As Annette was so passionate about having a parkrun in her area, she didn’t really think much of starting one up – it was just something she wanted to do. Being nominated for the QBR, however, gave her a chance to reflect and see the effect parkrun has had on people and she feels it has definitely been worth it! And participating in the QBR itself? “The whole experience was absolutely amazing – it would be hard to pinpoint a highlight. But if I had to, probably stepping off the bus at my relay leg and seeing all the people who have come to support little old me in carrying the torch.” Annette also can’t wait to watch the games – her husband’s cousin Nicole Seekamp (a former Renmark local) is playing for the Opals in Basketball! Go Opals!! And exactly one month after Kathy Flanagan from Tuggeranong parkrun carried the baton in Canberra, it was passed on to Shirley Treasure – the founding ED for Australia’s first “Q” parkrun, Quinns Rocks parkrun. Shirley had originally discovered parkrun at WA’s Lake Joondalup parkrun but had found rallying up the kids in time to travel all the way there was a bit of a battle. Having a parkrun right on her doorstep seemed like a sensible solution. Shirley’s favourite event to watch out for during the games will be the marathon. In advance of the marathon though, she’s really looking forward to seeing the Baton that she helped carry (through dance!) arrive at the opening of the games so the Queen’s message can be read to all the athletes. And who should be up next? None other than parkrun Australia’s Chief Executive Officer, Tim Oberg! Having completed his first parkrun in Wimbledon Common in the UK way back in 2010, Tim decided he’d bring parkrun to Australia launching the first parkrun in April 2011. 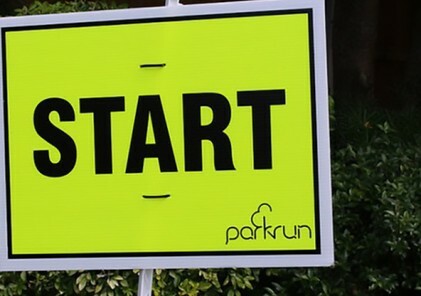 Fittingly, Australia’s first parkrun opened on the Gold Coast with the same city hosting the Commonwealth Games due to start in less than two weeks. “I feel very, very humbled”, Ian said. “I’m involved in parkrun because I love running and I love my community and this is one way I can give back. To me I have just been doing my job. Sometimes I do it great and sometimes I could do it better. But to be recognised by my RD team is very special! I have a few friends and family coming. My two boys will be there too. 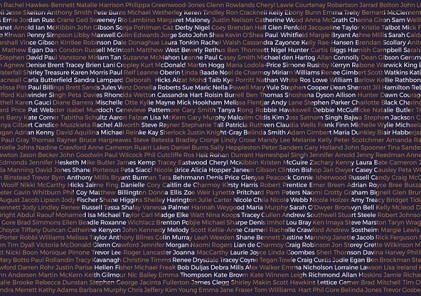 Seeing them and then catching up with the other well deserved QBR participants will be very exciting!” About 500 people complete Highfields and Toowoomba parkruns each week so it may well be that more than a few friends and (parkrun) family there on the 28th March to see Ian complete his relay leg! Rachel Allworth from Panania parkrun, Sydney is also eagerly awaiting her relay leg. 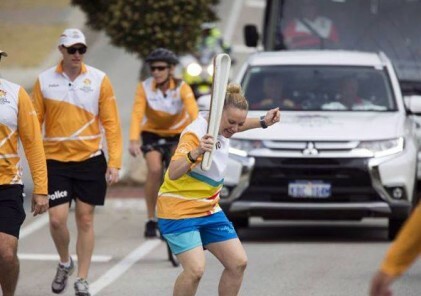 She’ll take up the baton at 2:52pm on Vernon Terrace in Teneriffe, Brisbane, just a few days before the Games begin. Rachel, like many of the other parkrunners taking part in the QBR has a clear passion for running and this led to her nomination. She has done a lot of volunteer work in her local community helping people get fit and take up running. 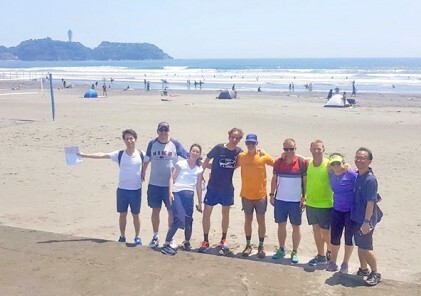 Prior to starting up Panania parkrun she also had a free Learn to Run group which was very popular and spread to multiple locations in Sydney.